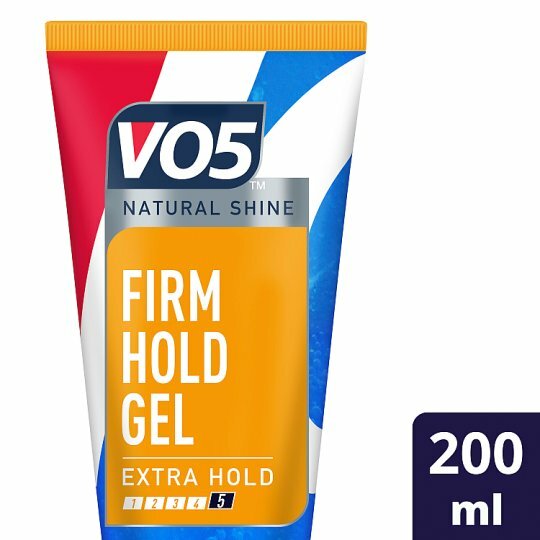 The Vo5 Firm Hold Styling Gel provides 24hr strong control and gives thickness & definition. The Vo5 Firm Hold Styling Gel is a very versatile product and is ideal to create either day time or evening hair styles. How to use: Use product on dry or damp hair. Work your hair section by section from roots to ends. Mould into shape and leave to dry naturally. Style tip: For maximum lift, apply to wet/damp hair then blow dry. If you liked Vo5 Firm Hold Styling Gel, be sure to check out the other Vo5 styling products in the full range to remix your style and experiment with your hair even further!